Making young people a part of the process is a key component of this endeavor. It is no secret that opera tickets can be expensive. What may be less well known is that there are companies that charge singers a fee to perform, as well as audition. 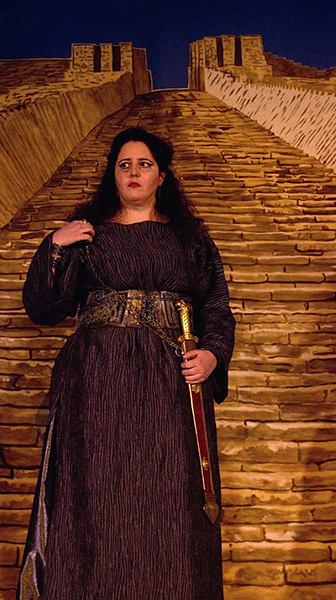 Soprano Mithra Mastropierro in the role of Abigaille in OTM’s inaugural production, Verdi’s Nabucco, at The Unitarian Universalist Congregation of Montclair. Photo by Lianne Schoenwiesner. At the opening of the Mozart opera, “Tamino is being chased by an evil monster, so we have a dragon costume,” Riker-Norrie elaborates. “We’ll pick somebody who’s really enthusiastic, and once the scene is over I say, ‘Now you have to go sit down!’” Interactive versions of other productions in the company’s repertoire have been devised, including Cinderella and Hansel and Gretel. 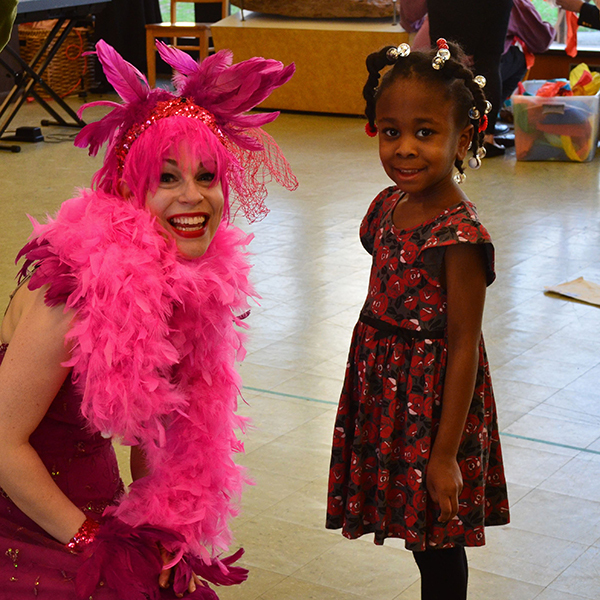 Soprano Nicole Guberman as Papagena poses with a young fan after an outreach performance of Mozart’s The Magic Flute at Cedar Grove Public Library in April 2018. Photo by Heather Bobeck. When Korotkin met DeSalvio, “we discovered that we both were painters, and had gone to the School of Visual Arts at about the same time. So we had the same background, skill set, and the same aesthetic approach to things. We turned out to work very well together; we put the elaborate scenery for Nabucco together in two weeks. From that point on, I remained on as their scenic designer.” Korotkin has subsequently designed the sets for all of the company’s main stage productions. For Hansel and Gretel, Korotkin is excited to be collaborating with David Gillam, a renowned theatrical costume and set designer. 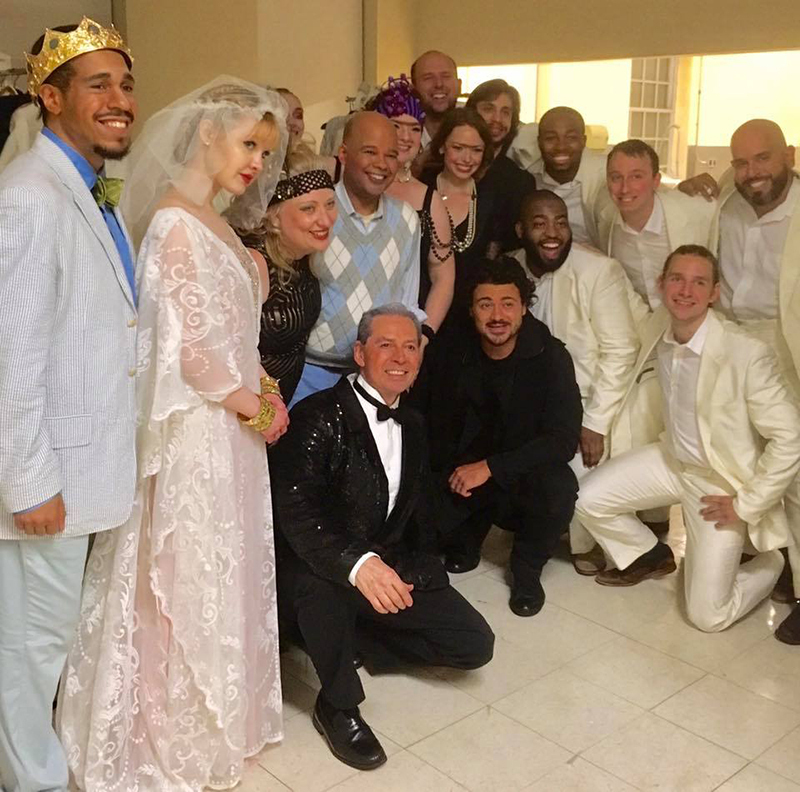 The cast of Rossini’s La Cenerentola being surprised backstage at The United Way Theatre in Montclair on opening night by international tenor superstar Vittorio Grigolo (kneeling in center) in September 2017. Photo courtesy of Opera Theatre of Montclair. 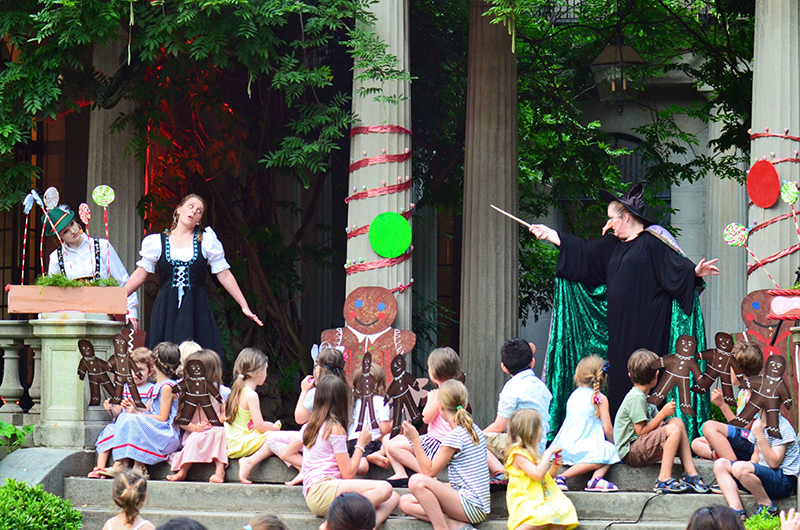 Opera Theatre of Montclair’s upcoming production is Hansel and Gretel, which will take place at the Central Presbyterian Church in Montclair. Performances will be at 4 p.m. on September 22, 23, 29, and 30. The production will be directed by Stacey Canterbury, and conducted by Elizabeth Hastings. “It will be fully staged, with costumes,” promises Riker-Norrie. The idea of adapting the Grimm brothers’ fairy tale into an opera was that of Adelheid Wette, who wrote the libretto that her brother, composer Engelbert Humperdinck (1854-1921), set to music. The opera premiered in Weimar in 1893, conducted by Richard Strauss. “Humperdinck was Wagner’s copyist, so he was very familiar with the Wagnerian style,” Hastings observes. “There’s a lot of that sound in this score.” The opera’s best-known pieces include the duets “Brother Come and Dance with Me” and the “Evening Prayer” (“When at Night I Go to Sleep”). 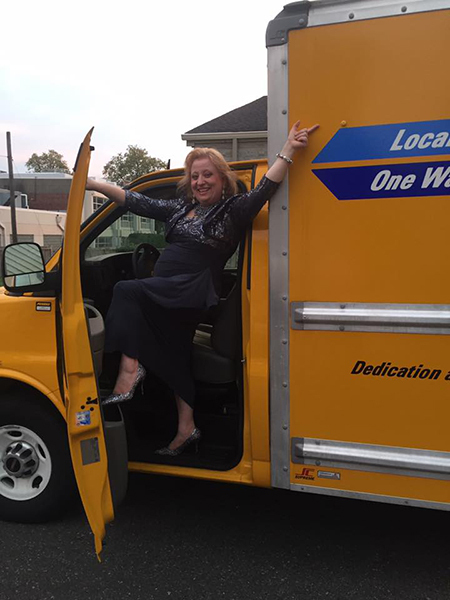 General Director Mia Riker-Norrie parking a moving truck on opening night of Handel’s Acis and Galatea in Montclair. Photo courtesy of Opera Theatre of Montclair. To learn more about Opera Theatre of Montclair or to purchase tickets to Hansel and Gretel, visit its website at operamontclair.org. As a 501(c)(3) nonprofit organization, all donations are tax deductible.